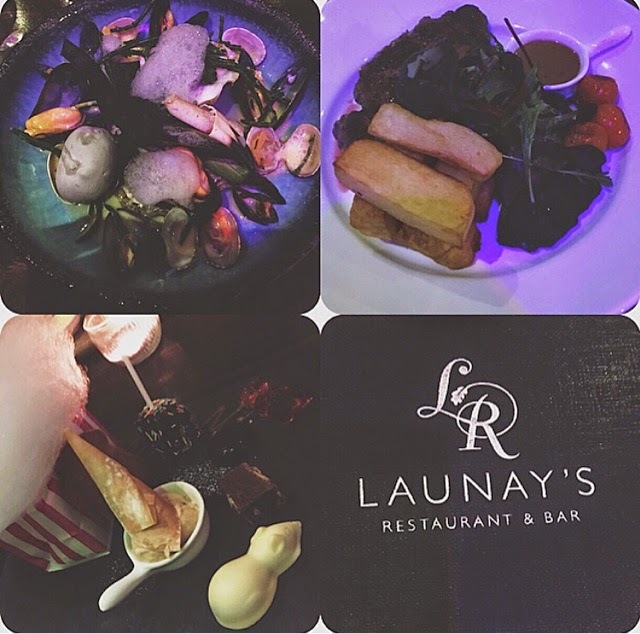 Tonight I went to launays restaurant in Edwinstowe and had a three course meal. Food was lovely, it was around a 30 minute drive and in the middle of nowhere really but was really cosy and I wanted to try somewhere new so decided the drive would hopefully be worth it. 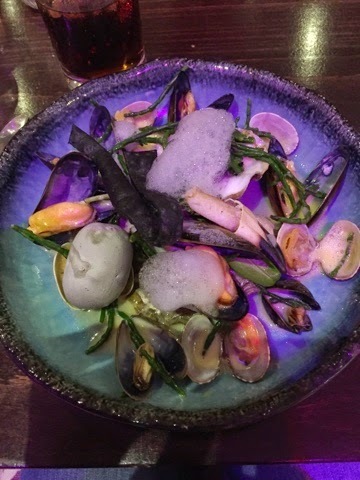 I had a seafood starter with mussels, prawn, oyster (first and last time I will ever have oyster) and cockles. Then for main I had a ribeye steak with chunky chips and salad, and for pudding I had the 'sweet shop' which was an eray of amazing snacks with enough sugar to live off for a year. What a little hidden gem.